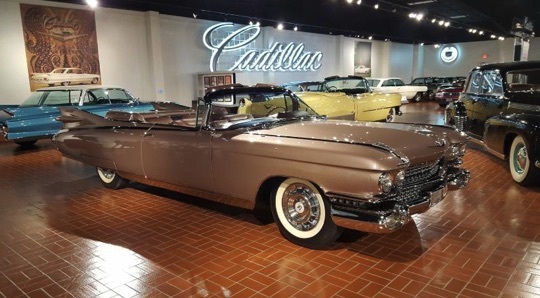 The group will consist of Cadillac cars made between 1948 and 1965, the former being the first time Cadillac introduced the first iteration of what would become an iconic design flair. 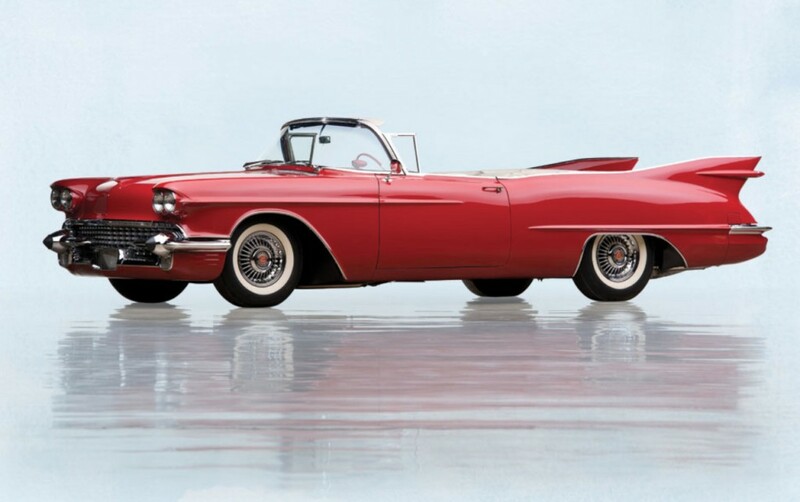 The design was originally inspired by a Lockheed P-38 fighter plane and came from none other than General Motors’ first vice president of global design, Harley Earl. Quickly, numerous other automakers copied the design trait, but Cadillac takes all the credit for ushering automobiles into the Jet Age. By 1959, the tail fin peaked with a wing that wouldn’t look out of place on a fighter jet itself. As the 1960s unfolded, the tail fin began to gradually recede, though it was still a prominent design trait, nonetheless. The style absolutely helped cement Cadillac, as it was known, as the “standard of the world,” with designs that oozed exclusivity and swagger. At this time, Cadillac was also the number one luxury car in the United States. As the 1980s and 1990s unfolded, German and Japanese competitors began to steal market share away from Cadillac. Today, the brand continues to live in a state of rebirth—something GM has pushed since the mid-2000s with the first CTS sedan. The Concours d’Elegance of America will take place in Plymouth, Michigan, and kicks off on July 28th. 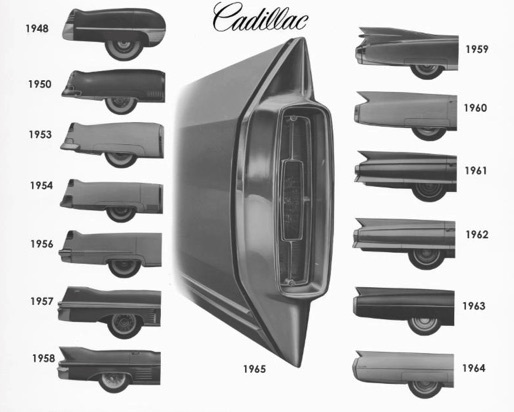 Cadillac’s downhill began when GM’s beancounters deceived their way into kicking Harley Earl out to save a buck. Without Independence from GM & a strong backer, I don’t think they’ll ever return to their glory days of being The Standard of the world. When Earl was there he commanded a team with massive talent and resources. While GM doesnt have the resources they had then they had a winning formula, they were leaders. Todays GM is pathetic and they should be embarrased by what they make. Instead of leading they either retreat from markets, sell operations they cannot run profitably and then deliver products that are 80% of what the competition is making, at the same price. As I see firsthand on a daily basis GM now a company in which a mostly demoralized workforce does their best to still excel while each does the work of 2 or 3 people. I agree. I truly don’t think Cadillac will be around much longer though. They’ve already laid the groundwork for that by saying the new EV’s are Cadillac’s last chance. And I don’t buy into the current hype surrounding EV’s. Add to it, with Chevrolet declining as well, I don’t think Chevy will survive into the future either. Not in it’s current form anyway. With the failure of their new trucks and declining truck loyalty over the last 15-20 years, it looks grim given that’s what pays the bills. No sedans, a failing 6th gen Camaro, the Volt dead. It really leaves the Corvette, Tahoe and Escalade for the Chevrolet/Cadillac dealers. All of which will probably be rolled into a GMC branded entity and supercenter dealer. GM will literally be GM’C’ in the US within 20 years with Buick as a Chinese operation. GM has really protected their GMC/Buick baby and it’s paid off. But they did so at the expense of Chevrolet & Cadillac IMO.